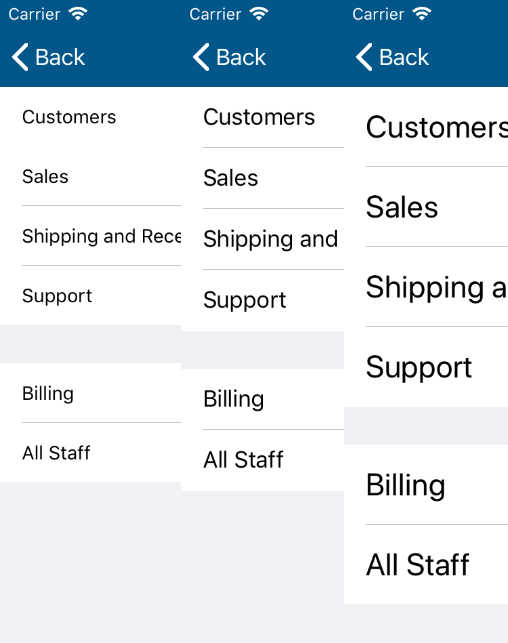 Even though the cell height was set to be automatic on the table view, I was still seeing a problem–clearly a bug with Apple’s UITableView. However, the screens that used a dynamic UITableView had no issue. The cells would resize properly to accommodate the larger text. 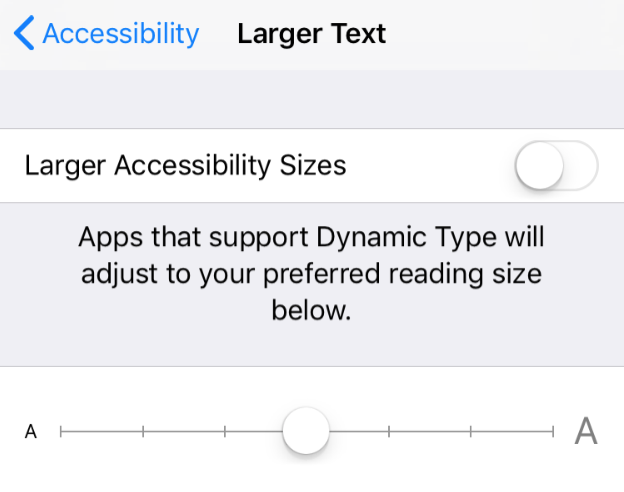 To change the Dynamic Type setting on your phone or simulator, go to Settings > General > Accessibility > Larger Text. There, you will see a switch to enable larger accessibility sizes. You do not need to turn this on, but if you do enable it, even larger text sizes will be available to you. Where you want to make the change is at the bottom of the page, where there’s a slider to set the size of the text. It is easy to support this setting in your app. Wherever you have a label in your app, make sure you change these two settings. 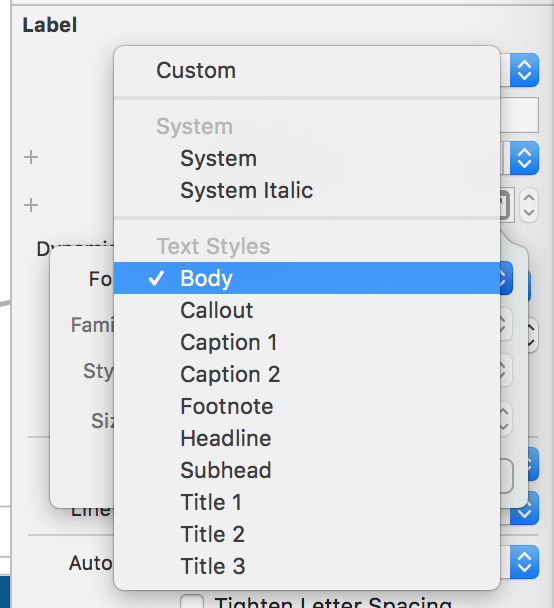 First, set the text style to one of the preferred text styles provided by Apple. Next, set your UILabel to automatically adjust the font size to type changes. 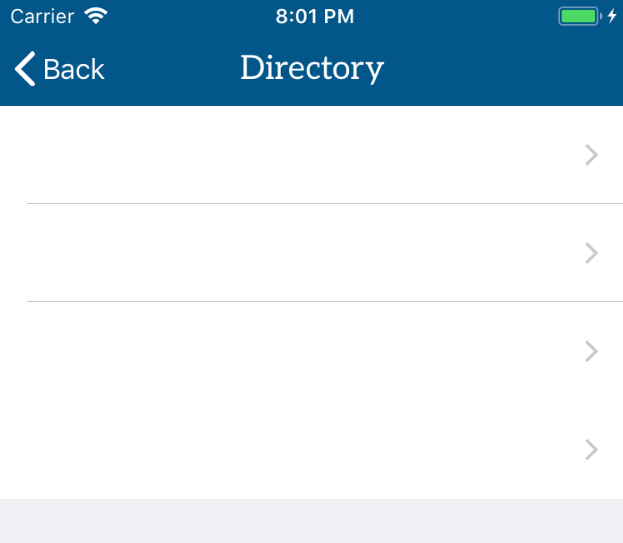 If your label is in a UITableViewCell, make sure you have the height of all cells set to automatic on the UITableView. 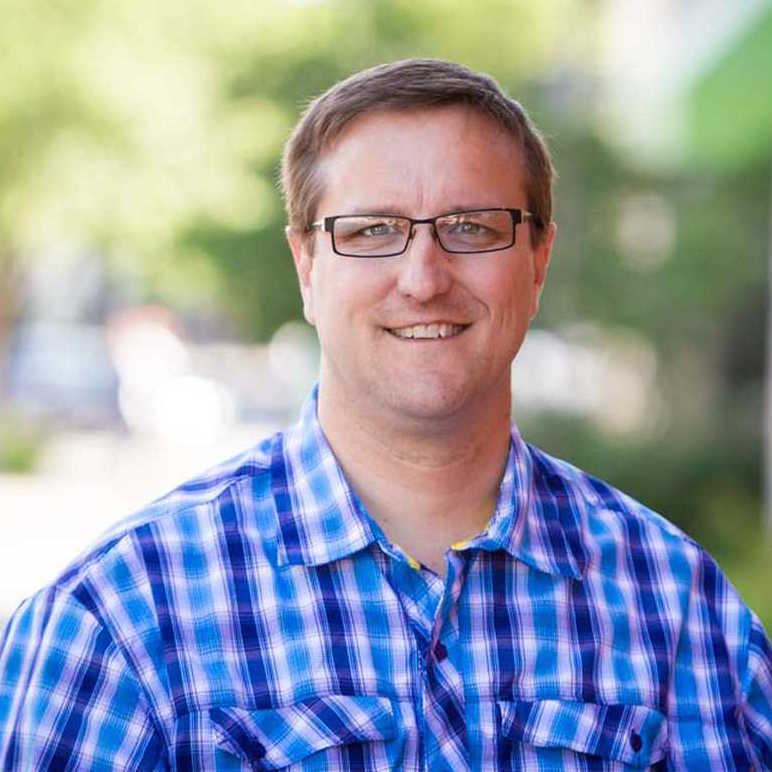 When a user changes the Dynamic Type, the system sends a UIContentSizeCategoryDidChange event that your app can listen to respond to the change. If you have the Dynamic Type setting turned on in your label, the UITableView internally adds an observer for this event and adjusts the cell heights accordingly. This works for dynamic table views, but something is broken for static table views. The first step in fixing the problem is to remove the observer from the UITableView, so it doesn’t do whatever it is doing to make the text in the cells blank. The second step is to add our own observer to the event, so we can fix the problem ourselves. Call the fixDynamicTypeForStaticTableViews in your viewDidLoad function. Now that we have removed the observer from the table view and added our own, we need to implement the contentSizeChanged function that will get called when the event is fired. All we need to do in this function is tell the table view to reload itself. The cells will get resized appropriately, and the text inside the cells will respond to the Dynamic Type setting. Notice that I have the @objc attribute on the function that indicates this code will be called from Objective-C.
That is all that we need to do to fix static UITableViews. Let me know if this fix helped you out. I was banging my head against this issue, and your article saved me. Thank you!